The OnePlus 5 looks sleeker than ever, thanks to the Horizon Line, that wraps beautifully around the device, resulting in beautiful shadows when placed in the light. The All metal uni-body is carved from a single slab of space-grade aluminium. 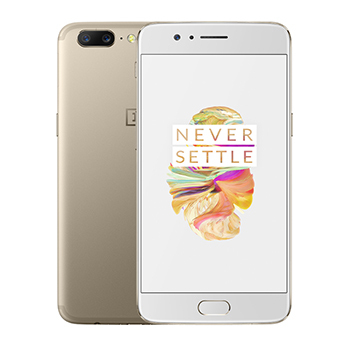 The integrated fingerprint scanner unlocks your OnePlus 5 in under 0.2 seconds. At just 7.25mm, the OnePlus 5 is OnePlus's thinnest flagship smartphone ever and the NFC antenna is subtly inlaid as vertical line above the camera ring, for an elegant look. Enjoy a smooth and fast software experience with OxygenOS, our refined operating system built on Android. The flexibility of a smartphone with the comfort of an e-reader. Reading Mode optimizes the display for reading through gray-scale mapping and filtering of blue light. When you want to focus on a game or other app, toggle on our new Gaming DND Mode to mute notifications and temporarily disable soft keys to avoid accidental taps. The OnePlus 5 is a true world phone, with support for 34 network bands across the globe, so switching networks is as simple as swapping SIM cards. Insert two SIM cards and connect to two networks simultaneously. Whether you're travelling or relies on the need of using two phone numbers, it just makes sense. The industry-leading Qualcomm® Snapdragon™ 835 processor powers through demanding apps and games – and it's incredibly power efficient. With up to 8GB of LPDDR4X RAM, day to day tasks are snappier than ever. 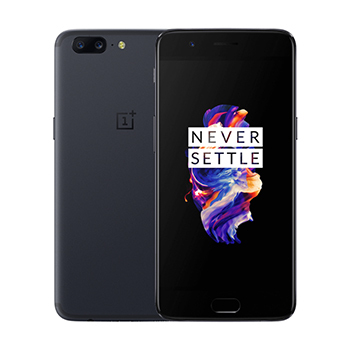 The OnePlus 5 features the highest resolution dual camera (16MP) on the planet, so photos look clear even if you want to hang one above your couch. Photos are incredibly clear even when captured from a long distance. The OnePlus 5 can zoom in up to 2x without losing clarity and you'll capture clear photos at any time, thanks to the OnePlus 5’s large f/1.7 aperture. Shutter speed is faster too.